Hello ! 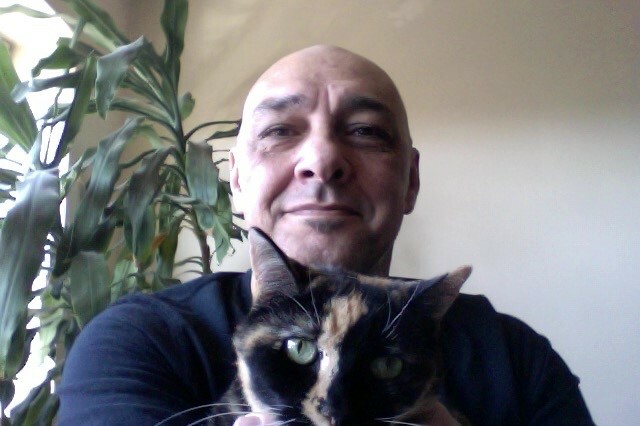 My name is Giancarlo, and this furry cat is Florencia. My other two cats, Bruna and Francesca, were too lazy to be part of the photo session. We live in Hackensack. Unfortunately dogs are not allowed in our building, or else I would have a few of them too. I’ve had dogs and cats since I remember, they’ve always been family to me. I used to work for corporate in the export and import business, but I am a Disc-Jockey by trade. Now that I have some extra free time, I am able to do what I love besides music: taking care of pets ! For a long time I have taken care of dogs and cats for family and friends when needed, now I get to do it professionally, I couldn’t ask for anything else. I look forward to meeting new four legged creatures and their humans!